Rehearsals engage all my technical, physical and emotional skills and I leave feeling tired but totally uplifted. It's hard to put into words what you do but you seem to liberate us and fill us with rejoicing, as well as making us dig deep to be the very best we can be. I just wanted to say thank you so much for awakening my love of teaching and leading music. Nothing in my life gives me greater pleasure and it's all down to you and your encouragement, your contagious enthusiasm and passion and love for music and for every person you come across. You brought out in me the courage to believe in myself and sing solo in front of an audience, something I never thought I could do. Thank-you Karen. The last 3 years have meant so much to me,…. 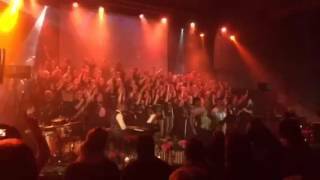 BGG’s Choir Director, Karen Gibson, is a powerhouse of inspiration and energy. Nominated for the Gospel Music Awards Best Contribution to Gospel Music, she recently led the Maria Fidelis Roman Catholic Convent school choir to victory in the Songs of Praise Senior School Choir of the Year competition, and directed this same choir during an audience with the Pope on his recent visit to London. With such high production values on offer, that is also a creative statement of how seriously Gibson takes what she does. This is no well-intentioned amateur production. This is a community being really good. Thank you for your patience and your hard work: it was great to work with such a professional conductor and choir. I’m greatly encouraged and hope that we will be able to work together in the future. 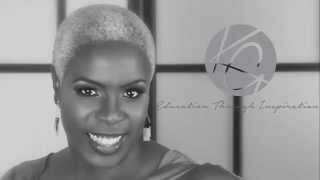 Karen is a prolific and gifted Gospel Music Professional. Below is a range of services for which Karen is highly sought after. This generously gifted gospel virtuoso is looking forward to the opportunity to step into action to meet or exceed your requirements and expectations. Karen has conducted many choirs in distinguished company and grand auditoriums round the world. She has met and worked with global and national figures and has received numerous national and international awards in recognition of her talents and ability to draw out the best from the people she works with. It's not often that one gets the opportunity to see the Pope, let alone have the privilege of conducting a school choir in front of the man himself. 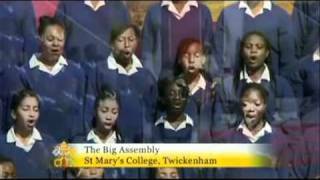 Karen, along with the Maria Fidelis Girl’s School Gospel Choir were honoured to sing before Pope Benedict XVI during his historic visit to Britain in 2010. Karen is an enabler. Her firm yet encouraging approach to "drawing out the best" in other's singing performance is the mark of the seasoned professional who time after time takes people on the journey of development to deliver a dynamic performance at the appointed time. Karen’s intention is to ‘bring out the gold’ in all those with whom she comes into contact, and is passionate about encouraging them past what they think they can achieve. With Her mantra being ‘you don’t have to be perfect, just the best that you can be’, she has seen amazing results in all the choirs that she has taught, guiding them to great success, including on national and TV platforms. When the music stops, the inspiration behind Karen's drive and creativity continue to flow like a waterfall of pearls of wisdom igniting, encouraging or renewing the determination of those whom Karen encounters. From start to finish experiencing a workshop delivered by Karen is an exhilarating experience. Her attention to technical detail and her ability to break things down to simple tasks then build up again into the whole song is the mark of an excellent communicator.